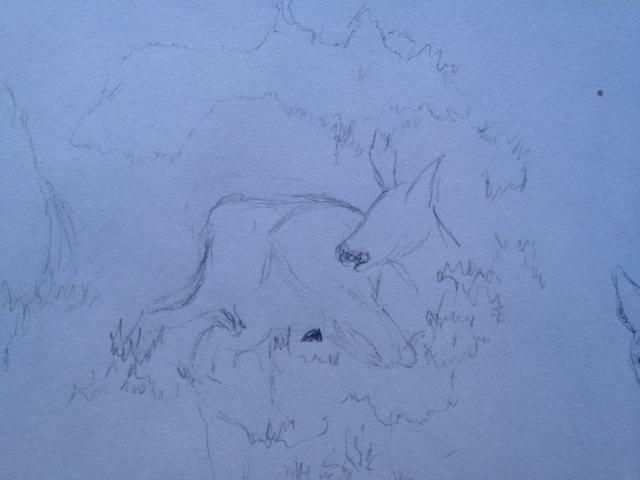 Out in the woods, laying on soft moss under a pine bough was this deer. I had a hard time with her tail end and getting the length of her torso right. However these sketches are study and practice where mistakes can happen. The point is to go on and not dwell on this mistake by erasing or fixing. The deer always has another interesting pose to work from with just a turn of the head.